What measures will improve retention of Millennials? Implementing programs to attract and retain Millennials. Which initiatives are most appealing and effective. Even if it’s in your budget, offering a candidate an impressive starting salary doesn’t necessarily mean that you’re going to be able to attract the kind of talent you want anymore. Strong compensation and benefits packages are still important, but Millennials are concerned about other factors as well, such as opportunities for career progression. 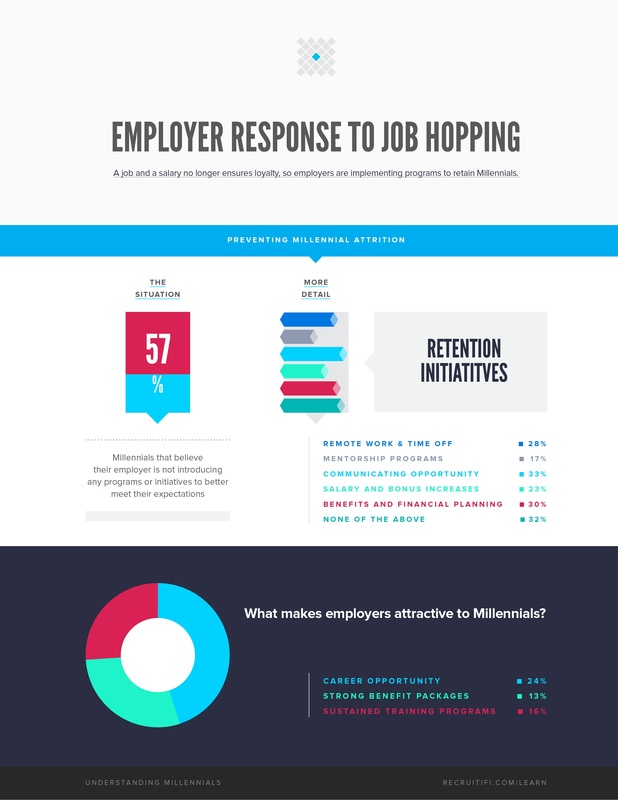 Download this article to see what other employers are doing to cater to the needs of Millennials.